Choosing the right Pre-University course after SPM can be confusing. There is no such thing as the “best” Pre-University or Pre-U programme. It is choosing the right Pre-U programme that fits you and your future goals. Engineering programmes – includes credits in Maths and Physics or some universities accept Maths & Science. Medicine & Pharmacy programmes – at least 5Bs in SPM including Maths, Biology, Physics & Chemistry. Even if you enter into the Pre-U course without meeting these requirements, you will not be able to enter into the degree course. Students not planning to go for Medicine, Pharmacy, Dentistry or Law should just go for the one-year Pre-University Programmes as you can save on time and money. If you aim for scholarships for your degree studies or overseas, then you should go for the external Pre-U. Students who are not sure of what to study for their degree can go for Pre-University courses first and take the time to discover which one fits you. For wider options, you should choose the Foundation in Science unless you already know that you do not want to take up degree studies in the sciences. Foundation as it is cheaper than the external Pre-University courses. Note that the Foundation in Science for one university may not be recognised for entry into Medicine or Pharmacy by another private university should you decide not to continue on at the original university where you took the Foundation. Therefore, choose carefully. Students who want to take up the Law degree must take the A-Levels as it is recognised by the Malaysian Bar to practice as a lawyer. If you go for Foundation, you cannot become a lawyer in Malaysia. Students planning to go for culinary arts, fashion design, multimedia design, graphic design, or interior design should just go for the Diploma first and then enter into Year 2 of the Degree should you be interested to go on to degree level. Some universities do not accept Pre-U or Foundation courses that are not Design-based. If you are not good at calculation subjects like maths and accounting, then you should go for diploma courses because the Foundation or Pre-U will contain subjects like Maths, Finance and Accounting. Cambridge A-Levels Awarded by Cambridge Advanced Level Certificate The Cambridge GCE A Level is the general certificate of education qualification through examinations by the University of Cambridge International Examinations (CIE). Monash University Foundation Year (MUFY) Monash University Foundation Year -offered at Sunway University and not at Monash University – A foundation programme for students interested to enter Monash University degree programmes Duration is 10 months with Intakes in January, March and July March intake is a 7 month condensed course (not recommended) A student must pass a minimum of eight different units, including English, in order to complete the MUFY successfully. A minimum of six of the eight units must be derived from three completed subjects. Students are allowed to take on additional units limited to five per semester or ten in the duration of the program. carefully the type of Pre-University and its assessment style. Some students don’t perform well in the Pre-University because the assessment of the Pre-University doesn’t fit them or their command of the English language is too weak to handle the written assignments. university degree programme. Most students will enter into the Pre-U after completing SPM. There are many different Pre-University programmes available in Malaysia. General Entry Requirements for all Pre-University Programmes: SPM or ‘O’ Level or equivalent – 5 credits including English and Mathematics/Science. Note that you will need to take into account the degree requirements for certain courses for SPM subjects. As long as the Pre-University Programme has been accredited by MQA, it will be accepted into any private university in Malaysia and the external Pre-University programmes such as A-Levels, AUSMAT, SAM, UNSW Foundation Year, etc are accepted into universities overseas. The Internal Foundation Programmes of Private Universities in Malaysia are generally not accepted for entry by universities overseas therefore you have to take this into consideration when making your decision. Many private higher educational institutions in Malaysia, have developed their own internal university foundation programmes. These courses are accredited by the Malaysia Qualification Agency (MQA) and recognised by the respective foreign partner universities. Students after SPM or O-Levels should choose the foundation programme in Malaysia that best fits their career goals and needs. 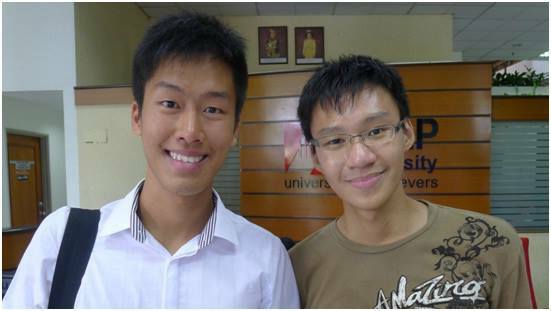 Students should choose Foundation programmes from prominent and established universities such as Heriot-Watt University Malaysia, Asia Pacific University, Taylor’s University, KDU University College Utropolis Glenmarie, UCSI University, First City University College, HELP University, Curtin University Sarawak, KDU University College Penang, others. Advanced level qualifications are already recognised by many leading universities in the UK and internationally. in one examination session and completing the final A Level assessments at a subsequent session. Some papers are actually practical papers, in which you have to do experiments and answer related questions. The best private colleges in Malaysia for South Australian Matriculation (SAM)/SACE International Pre-University programme are Taylors College Lakeside Campus and Disted College Penang. Top rated private universities in Malaysia for the AUSMAT pre-university course is First City University College. First City University College has a unique programme that allows for students to enter into German Universities for engineering degree programmes. 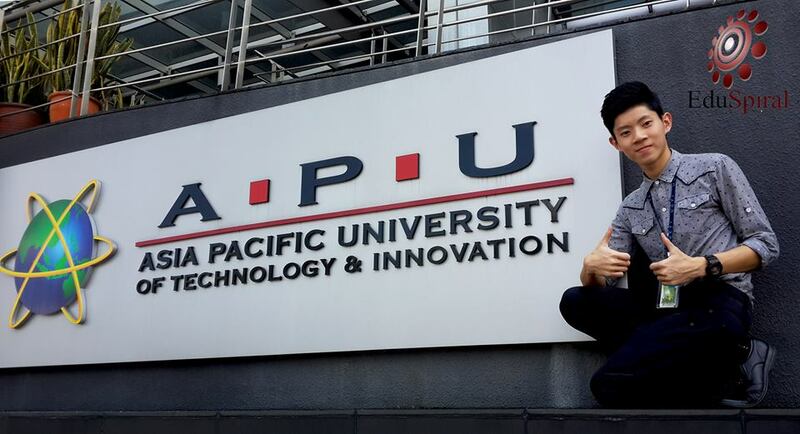 recognised for entry into public universities (IPTA) in Malaysia. The STPM is also accepted for entry into private universities in Malaysia and overseas universities. The STPM is acknowledged as one of the toughest exams in the world. The other way to enter public university (IPTA) is the Matriculation course where only 10% of the seats are set aside for Non-bumis therefore the competition will be extremely high for the spots. The STPM is set and run by the Malaysian Examinations Council since 1982, which also runs the Malaysian University English Test (MUET) since 1999. All students who have passed the Sijil Pelajaran Malaysia (SPM) are eligible to enter into Form 6 to take the STPM, and will be automatically assigned a place in a government secondary school after the release of the SPM results. Established in 2009, EduSpiral Consultant Services is an appointed representative for top reputable private colleges & universities in Malaysia & Singapore.